The assessment of fracture healing following intertrochanteric fracture fixation is highly variable with no validated standards. Agreement with respect to fracture healing following surgery is important for optimal patient management. The purpose of this study was to (1) assess reliability of intertrochanteric fracture healing assessment and (2) determine if a novel radiographic scoring system for hip fractures improves agreement between radiologists and orthopedic surgeons. A panel of three radiologists and three orthopedic surgeons assessed fracture healing in 150 cases of intertrochanteric fractures at two separate time points to determine inter-rater and intra-rater agreement. Reviewers, blinded to the time after injury, first subjectively assessed overall healing using frontal and lateral radiographs for each patient at a single time point. Reviewers then scored each fracture using a Radiographic Union Score for Hip (RUSH) form to determine whether this improves agreement regarding hip fracture healing. Inter-rater agreement for the overall subjective impression of fracture healing between reviewer groups was only fair (intraclass coefficient [ICC] = 0.34, 95 % CI: 0.11–0.52. Use of the RUSH score improved overall agreement between groups to substantial (ICC = 0.66, 95 % CI: 0.53–0.75). Across reviewers, healing of the medial cortex and overall RUSH score itself demonstrated high correlations with overall perceptions of healing (r = 0.53 and r = 0.72, respectively). 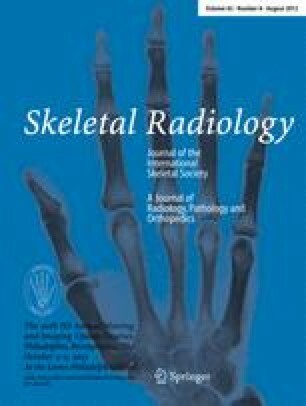 The RUSH score improves agreement of fracture healing assessment between orthopedic surgeons and radiologists, offers a systematic approach to evaluating intertrochanteric hip fracture radiographs, and may ultimately provide prognostic information that could predict healing outcomes in patients with femoral neck fractures. Funding for this research was provided a research grant from AMGEN Inc. and Dr. Bhandari was funded, in part, by a Canada Research Chair.